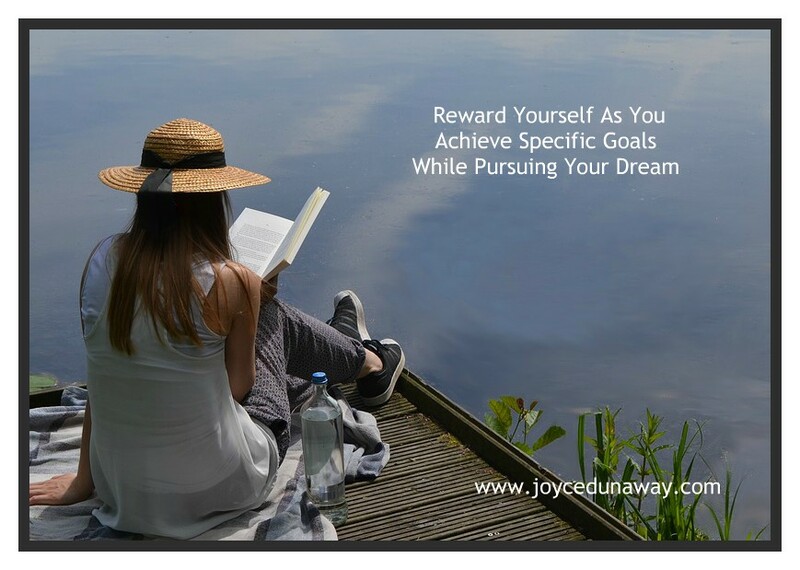 Have you listed the steps necessary to achieve your dream? Doing this will help you stay on track. It will keep you from being overwhelmed by the enormity of what it will take to achieve your dream. Deciding on a specific reward for each step accomplished will serve as motivation. It could be small or large. The key is choosing something you would enjoy. What activity would you enjoy doing after achieving your first goal? Please share your thoughts in the section below. This is great, Joyce. We must first list our goals, making them concrete. And then remember to celebrate those accomplishments. It’s so important to keeping us going on the long journey. Thanks for sharing this with us. Blessings on your writing, friend! Thanks for your encouragement, Hope. It’s great to hear from you.